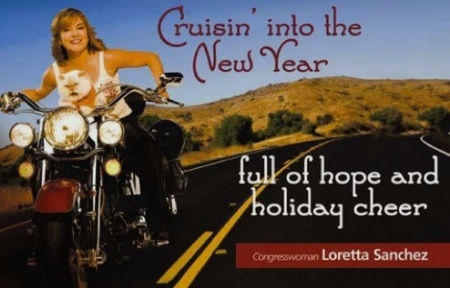 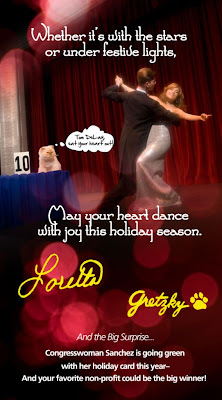 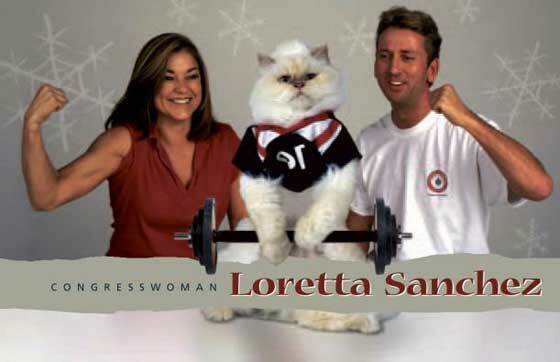 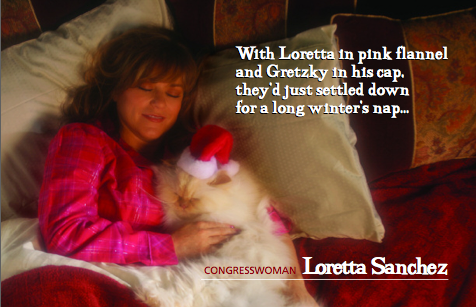 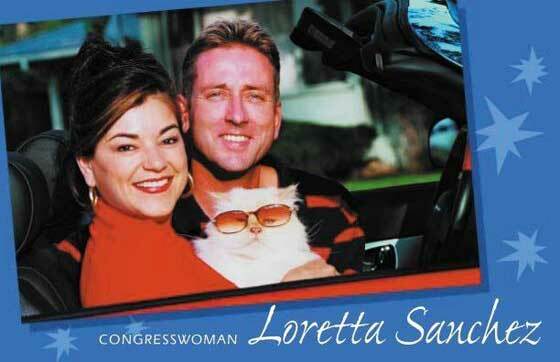 Representative Loretta Sanchez (D-CA) is known for sending out holiday cards to her constituents featuring images of she and her beloved cat, Gretzky. 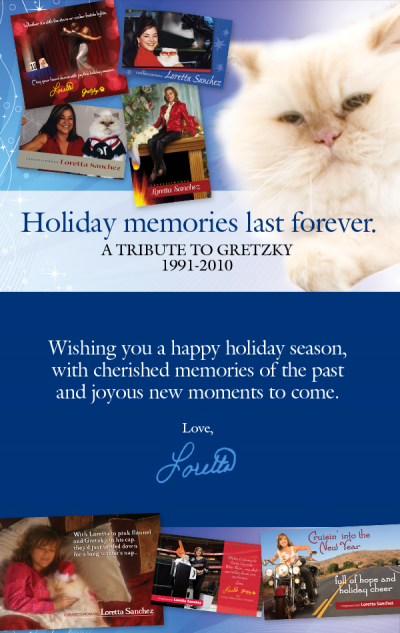 Sadly, Gretzky went over the rainbow bridge this year, and The Daily Caller and The Orange County Register are taking a look back at some of his finest Hallmark-worthy moments. The Register notes that the cards are "paid for with campaign funds" and "no tax dollars are used."